SPECtacular STORY Talk® develops vocabulary, language and early comprehension skills. The playful interactive structure and resources help young children to ‘talk’ about books and explore the pages for meaning. Designed for teachers (cross-curricular resources) and families (workshop and interactive resources). Parents receive a picture book with their Bookmark Kit together with a series of workshops to help them to encourage their children to look, think, feel and search for meaning and ask their own questions. Smiley Face Chart – for Spectacular Story talk moments. 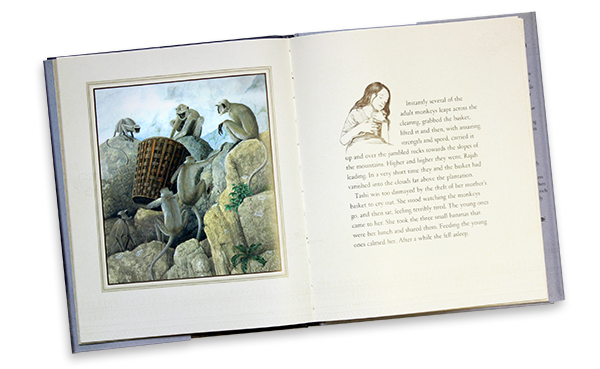 The ‘Story Talk’ Book Kit can be used to explore any choice of book – fiction or non-fiction. 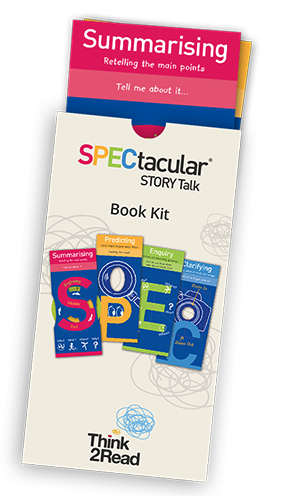 ‘SPECtacular Story Talk’ interactive Bookmark Kit. A quality picture book for each family. ‘Story Talk’ Family programme is delivered in school to parents/carers of children aged 3 – 6 yrs. Story Talk interactive Bookmark Kit per child + top quality picture books. Reading comprehension lesson plans, activities and posters – introduction to SPEC comprehension skills. Animated whiteboard slides to support story talk and use of Bookmark Kit. Cross-curricular lesson plans, activities and posters – using the Bookmark Kit to support ‘understanding’.